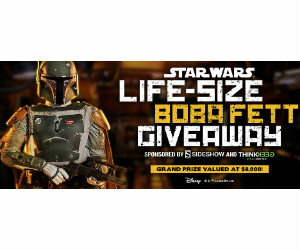 Enter the Think Geek Boba Fett Life-Size Figure Giveaway Sideshow Collectibles for a chance to win a Full sized Boba Fett worth approx $8,000. 2nd & 3rd place win a Rebel or Imperial prize pack, each valued at over $500. Enter by 1/3/2016 US/EU/CA +18. 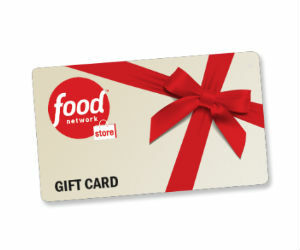 Enter the Food Network Store Sweepstakes for a chance to win a $500 Food Network Store Gift Card.Enter by December 30, 2015 at 11:59 PM (ET). Yerdle Holiday Promotion: GET $35!! Sign up with Yerdle and receive $35 Yerdle Dollars. Swapping gets you better deals than shopping this holiday season! Join Yerdle and swap your stuff for new treasures you’ll love. Sign up today to get $35 Yerdle Dollars + Free Shipping on your first purchase. Choose from over 70,000+ items — from dresses to shoes, purses to kid’s toys, home decor and more. 3. Pick out an item you want for $35 Yerdle Dollars or less, and pay no shipping fee or service fee! You must enter a valid credit card to check out. 4. Post your own items to earn more Yerdle Dollars and keep swapping. Note: This offer is available to new users only. If you add 2 or more items to your cart, you’ll be charged a $2 “bundle fee” upon checkout. Buying Gift Cards? Get Holiday Bonus Deals! HOLIDAY SAVINGS TIP: Take advantage of holiday bonus deals on gift card purchases. Many businesses offer bonus deals around the holidays when you purchase gift cards. Check your favorite retail stores and restaurants to see if they offer a deal on gift cards. Check everywhere; many drug and groceries stores also offer gift card deals. Sign up and receive promo code for 25% off Gifts for the Holidays from the Popcorn Factory. Sign up and receive email newsletter to learn about exclusive offers, new flavors and new products from The Popcorn Factory. You will receive promo code after sign up.